Penetration Testing has been an Important field in Information Security . Over time it has evolved and expanded from just standalone computers to networks and now to Web Applications .Web Applications are an important part of an organisations Infrastructure as well as seen as E-commerce websites by the commons . In this artical , we will be talking about a very important and widely used web application penetration testing tool , The BurpSuite . Penetration testing [also referred to as pen testing] is a methodology for testing a computer system, network or Web application to find vulnerabilities[the loopholes] that an attacker could exploit.The objective of a penetration test is to find the security loopholes and the vulnerabilities . Penetration testing tools are used as part of a penetration test to automate certain tasks, improve testing efficiency and discover issues that might be difficult to find using manual analysis techniques alone. Burp Suite is lots of web application tools bundled into one and the best of available tools for web application testing.This wide variety of features in one tool (that has a user friendly interface)helps to perform various penetration testing tasks within one tool Window . In this post we will discuss the features of Burp and how they will be helpful during a web application penetration test . 1) Proxy –Proxy is the most useful feature of the Burpsuite and must be understood before proceeding to any other feature . Burp Suite comes with an inbuilt proxy, which is configured and run on port 8080 by default(however we can always change the port number as per the requirements of the penetration test). Using this proxy, we can intercept and modify the traffic as it flows from the client system to the web application. To use this proxy, all we need to do is to configure our browser for using this proxy. The proxy feature allows us to intercept and modify the HTTP requests and responses shared between the Burp Client and the Server. Not only you can change the port of the proxy , but also set up a new proxy altogether . 2) Spider – The spider feature of Burp Suite is used to crawl web applications and look for new links, content, etc. It automatically submits login forms (through user defined input) in case it finds any, and looks for new content from the responses. This information can then be sent to the Burp Scanner to perform a detailed scan on all the links and content provided by the spider.Burp Spider is used for mapping web application. It will automatically crawl the web application looking for links and will submit any login forms it finds and hence provide a detailed analysis of the whole application. These links can then be passed over to Burp Scanner to perform a detailed scan using the information provided by the scanner. 4) Intruder – This feature can be used for various purposes like exploiting vulnerabilities, fuzzing web applications, carrying out brute force attacks etc.Burp Intruder can be used for exploiting vulnerabilities, fuzzing, carrying out brute force attacks and many other purposes. In this case we will be using the Intruder feature in Burp Suite to carry out a brute force attack against DVWA. Browse over to DVWA and click on Brute Force. Enter any username/password, make sure Intercept is on in Burp Suite, and click on Login.The request will be intercepted by Burp Suite, right click on it and click on send to intruder. 5) Repeater – This feature is used to modify and send the same request a number of times and analyze the responses in all those different cases.With Burp Repeater, we can manually modify a request, and resend it to analyze the response. We need to send a request to Burp Repeater for this. The request can be sent to it from various places like Intruder, proxy, etc. 6) Sequencer – This feature is mainly used to check the randomness of session tokens provided by the web application. It performs various advanced tests to figure this out.Burp Suite Sequencer is used to figure out the randomness of the session tokens generated by a web application. This is because session tokens are usually used to authenticate a user, and hence should not be compromised. It is important for a web application to have a high degree of randomness for session tokens, so that brute force attacks are not successful against it. We need to send a request which returns a session token to the sequencer, the Sequencer then repeatedly sends the request, thus obtaining a high number of session IDs. It then passes these session IDs through various statistical tests to determine the randomness. 8) Comparer – Comparer feature of the Burp Suite is used to perform a comparison between any two requests, responses or any other form of data. This feature could be useful when comparing the responses with different inputs. Today we will learn how to pen test Cross Site Scripting on Android device and how a hacker can exploit an android phone using XSSF(Cross site Scripting) from Kali Linux..
What is Cross site Scripting?? 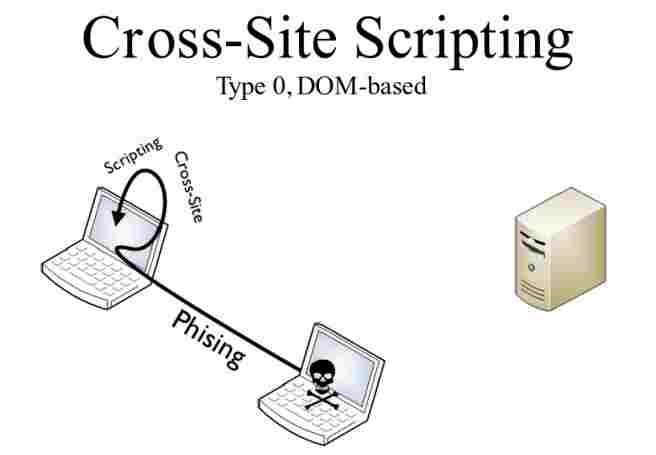 Cross site scripting (XSS) is a type of computer security vulnerability typically found in Web applications. XSS enables attackers to inject client-side script into Web pages viewed by other users. 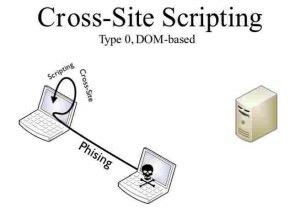 A cross site scripting vulnerability may be used by attackers to bypass access controls such as the same-origin policy. Note : This is only for educational purpose!! 3.Metasploit framework which comes pre installed in Kali..
4.And an android Phone to run exploits.. Step 2: Now install xssf framework tool using the following command within the metasploit directory.. Here::PUBLIC-IP refers to ur external ip..
Use any online IP address service to know you IP like whatsmyipaddress. To exploit a device out of lan u need to forward ur port whichever u use like if,I wanted to exploit a device out of lan I must forward my port 80..
Ok,now v we vl continue with exploiting a device in LAN.. Shorten ur url using online url shortner and then send it to the victim so that he/she just clicks on it.. When the victim clicks on the url he/she is said to be exploited.. The information of the victim can be known by opening the main log page..
the attacker should use this page evn though he is exploiting a device out of lan to gather information about the victim.. Here I we will send an alert message to the victim saying that its an XSSF Attack!! I vl b using the auxiliary highlighted on the screen shot to send the alert message to the victim..
To run the auxiliary just type run and hit enter.. Note: If you use a auxiliary which can steal files from victim’s device, the file can be downloaded from the above log page when exploited successfully!! So try this stuff n enjoy!! DOM Based XSS Attack Tutorial – How it works? DOM Based XSS is an XSS attack wherein the attack payload is executed as a result of modifying the DOM “environment” in the victim’s browser used by the original client side script, so that the client side code runs in an “unexpected” manner. That is, the page itself (the HTTP response that is) does not change, but the client side code contained in the page executes differently due to the malicious modifications that have occurred in the DOM environment. In DOM-based XSS attack, there is no malicious script inserted as part of the page; the only script that is automatically executed during page load is a legitimate part of the page. The problem is that this legitimate script directly makes use of user input in order to add HTML to the page. Because the malicious string is inserted into the page using innerHTML, it is parsed as HTML, causing the malicious script to be executed. Note that the HTTP response sent from the server does not contain the attacker’s payload. This payload manifests itself at the client-side script at runtime, when a flawed script accesses the DOM variable document.location and assumes it is not malicious. Note : In the example above, while the payload was not embedded by the server in the HTTP response, it still arrived at the server as part of an HTTP request, and thus the attack could be detected at the server side. That’s all for today! Enjoy guys and have happy learning. How to find website is vulnerable to Stored XSS attack? Identify data entry points from where data is keyed into database. Analyze the HTML code of input web forms for potential vulnerability. Verify that input web form is vulnerable to Stored XSS. The above process is somewhat similar to what we learned in the Reflected XSS Tutorial. 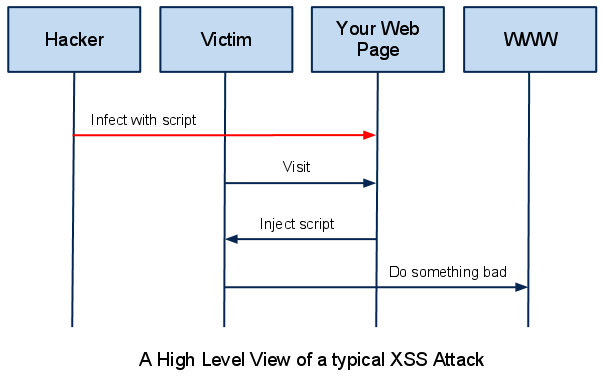 Let’s learn each of the above points in detail to understand the Stored XSS attack. File Manager: Application that allows users to upload files, for example avatars, images, documents etc. Settings or Preferences: Pages that allow users to set preferences. Forums: application that allows exchange of posts. Shopping Carts: application that allows users to store items into cart which they can view later. User profiles: Where user enters his/her info so that others can view it. Logs: application that maintains user inputs in form of logs. Every application which accepts data as input from the user and stores it somewhere in its database is a potential entry point into the system. Consider an example of normal login form of any portal which has login functionality say xyz.com; its logging snippet will look something like below if you inspect the HTML code. Now if the input from the user is not correctly validated by the web owner then the above code will result into a popup containing cookie values. If you get a pop up with cookie values then it means the website is vulnerable to stored XSS and now you can inject whatever you wish (browser executable script). Now every user will get this popup when he/she will reload the infected website or web page. That’s all for today! In our next tutorial we will learn how to use BeEF framework to exploit Stored XSS in any webpage, so stay connected.